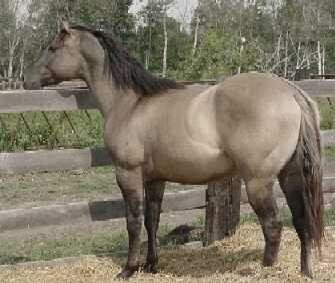 Grullo stallion "Gizzy" is foundation bred for reining, but has worked buffalo and been driven as well. He's a grandson of Hollywood dun it, with ancestors including King, Titan Cody and Hollywood Gold. He is a big fella at almost 16 hands. Smokinblue Hollywood is standing at Sherman Farms Grullo Quarter Horses, Alberta, Canada. Thankyou to his owners Dan and Roxanne Sherman for allowing me to display this photo of their super stallion.